This app is one of the best online tools that could help just about any student write out a great assignment that would definitely help them secure great marks by making sure that they use perfect English in their work. Most assignments require students to use excellent, but formal English only, something that can get quite difficult for students, even native speakers, because they are so used to talking in the colloquial tongue. With this tool though, all those worries about incorrect or irrelevant English can just melt away since this app will help students eliminate that casual tone, selling and grammatical errors from their work. Who does not want freedom from a hectic life and an even more stress inducing assignment? We believe that you, definitely need a break from all that hard work. However, procrastinating the way you have been doing for the last week over that difficult assignment that one of your teachers assigned you, is definitely not going to help! What will help is that you stop wasting time on social media and get down to actually studying and working. Studies have proven that wasting time procrastinating means that most students work at the last minute in stress and panic. Freedom is a mobile app that can help you avoid that by letting you minimise distractions and concentrate on work alone. Visit our site to learn more. You know how too many cooks spoil the broth, and how too much of a good thing can spoil you as well? Well, using too many clichés does just that to your essay. You many insert one or two to make the assignment look more interesting, but too many? No, just not fun anymore. Cliché finder helps by locating all those excessive clichés that may have unknowingly slipped into your work and lets you produce some truly great writing. Mind-map is another great tool that students can actually use to organise all their thoughts and ideas properly. Finally, use the readability-score to assess how your essay reads overall before handing it in! 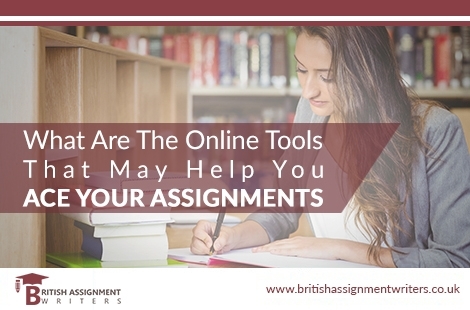 Bring all these tool in your use to excel in your academics, while doing that you can also take assistance from British Assignment Writers for professional assistance on all of your assignments.